With few natural predators, one or two fire ants can quickly turn into an invasion. If you already have a problem, their burning bites might be the least of your worries. Here's what you need to know to plan your attack—and stamp them out once and for all. 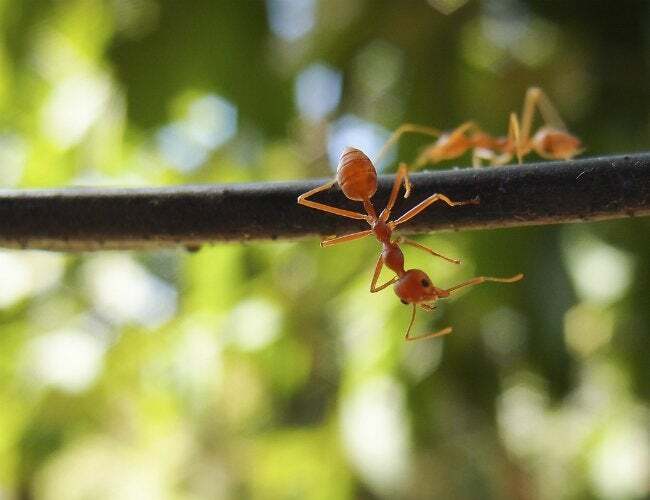 Although fire ants are more common in southern states, they can thrive nearly anywhere. Ranging from reddish brown to reddish black in color, you’ll find their nests in large dirt mounds around your property. Injecting pressurized insecticide to get rid of these painful pests is very effective, but don’t forget to wear safety goggles and protective clothing—and before you spray, check the pressurized equipment for air leaks. Most exterminators prefer a “broadcast” application, where granules of insecticide are thrown around the nest—similar to how you would spread chicken feed. Some pesticides are available at the hardware store, but the most potent are available only to licensed exterminators. Calling in the pros can be expensive (often upwards of $500 per acre) but if you have a large, persistent infestation, that may be your only option.